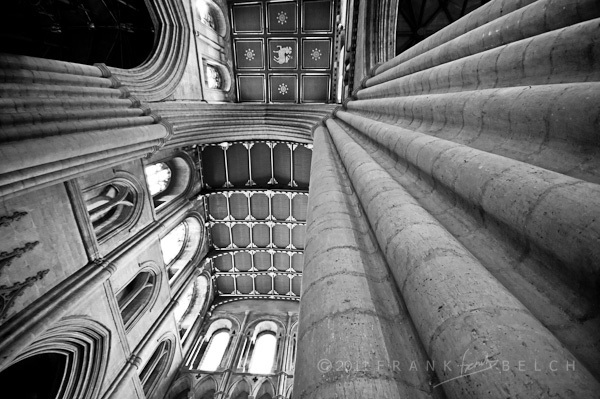 I like to wander around buildings like Ripon Cathedral because there is so much to take in. The light, the shapes, the textures and details. I am always impressed by the amount of work that the craftsmen of old put into the construction of these kinds of buildings. I think it unlikely that the detail in these carved pillars and arches could be improved upon even by todays high-tech machinery. The stones are dressed to an unsurpassable level of precision, and all by the use of hand tools wielded by the highly skilled stone masons of the day. According to Cathedral’s web site . .
← When seven become one.